Guide help with 10 tips for fathers and child relationship tips fathers help son duties qualities techniques strategies guide fathers and sons. The following list was excerpted from the book Throwaway Dads, by Ross D. Parke and Armin A. Brott. 2. Get more practice Don’t assume that your partner magically knows more than you do. Whatever she knows about raising kids, she learned by doing — just like anything else. And the way you’re going to get better is by doing it, too. 3. Take pride in the special way you are with your kids Men and women have different ways of interacting with their children. Men tend to stress physical and high-energy activities; women, more social and emotional ones. But don’t let anyone tell you that safely wrestling, bouncing on the bed, or other “guy things” are somehow not as important as the “girl things” your partner may do (or want you to do). The rough-and-tumble of father play teaches valuable lessons about regulating emotions such as excitement and arousal. Children with physically connected dads tend to do better in school, are more social, and are less likely to get involved in drugs, alcohol, or criminal behavior than children whose dads keep their distance. 4. Be emotionally available to your children Physical interaction is undoubtedly an important part of the father-child relationship, but being emotionally available and involved is critical, too. 5. 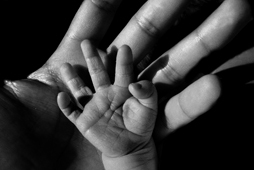 Be a partner, not a helper Despite the nostalgia of some conservative social critics for the idealized Ozzie and Harriet families of the 1950s, the traditional father-as-helper-only model is outdated and outmoded, and it won’t work nowadays. If men are going to be fully involved, they’re going to have to share responsibility for the household and childcare duties in an active fashion. 6. Be available for the day-to-day To be an effective father, get involved in the day-to-day decisions that affect your kids. Leaving everything to your partner means you’ll miss out on the small pieces that give meaning to your child’s life. 7. Show respect for your partner Being an involved father means recognizing all the ways in which your partner keeps the family running and respecting the decisions she makes when you’re unavailable. 8. Be aware of the need to communicate If you don’t like the status quo, let your partner know. If she seems reluctant at first to share the role of child nurturer with you, don’t take it too personally. Give her time to learn that you’re serious about wanting to participate more and that you’re competent and sincerely motivated be an engaged parent. 9. 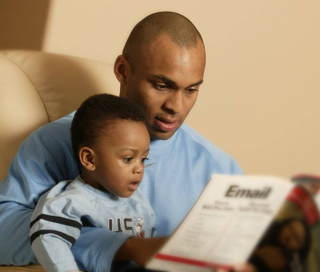 Know your legal rights Legal changes have given fathers more rights that can help them balance home and work, but you’ve got to educate yourself to reap the benefits. For example, find out whether you’re eligible for family leave under the Family and Medical Leave Act so you can use this unpaid time off when your baby is born or a few months after his birth. 10. 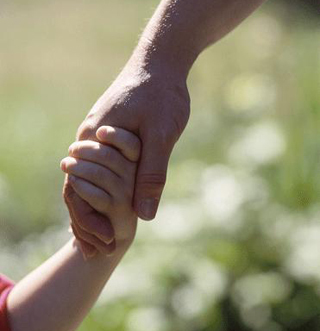 Stay involved after separation and divorce Fewer than 15 percent of fathers receive shared or joint custody of their children after divorce, and too many of those who don’t get custody end up slowly fading out of their children’s lives. 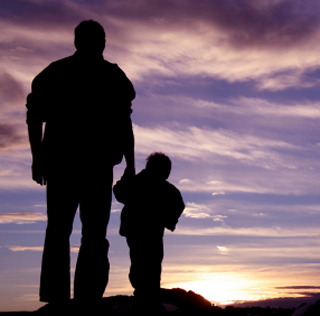 But even after divorce, there are a lot of ways in which dads can continue to play an active role. The most critical is to stay in touch — in person, by phone, by email, or by regular mail. And make the time you spend with your kids meaningful. Excerpts from Throwaway Dads by Ross D. Parke and Armin A. Brott. Reprinted by permission of Houghton Mifflin Company. All Rights Reserved. For news subscribe through our form to Feed Newsletter. In either case you can use the latest technologies on mobile apps. Therefore following and sharing all our contents by links ; in essence with Follow: on our Twitter, on our Google+, on our Pinterest boards, or like and share on Facebook. We hope the review is your taste thank you for choosing risorseutili.com and good vision in our related articles.